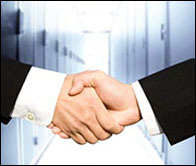 VMvault provides specialist cloud services to customers from a wide range of industries. We combine state of the art technologies and equipment to provide a secure, reliable and robust platform which enables us to meet the magic 5 nines of uptime – 99.999%. Our clients range from small businesses with 10 staff, right to up to large multinational corporations and government departments. VMvault has the capability to host almost anything in the cloud, with the knowledge and experience to do this efficiently and cost effectively. 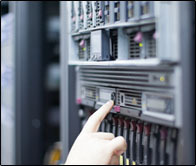 VMvault exclusively uses top of the line HP servers and EMC SANs for all VMware servers, and high performance Cisco Catalyst switches, routers and firewalls for all network connectivity. All server, SAN and network components are configured with redundancy, ensuring maximum uptime even in the event of equipment failure. The combination of these superior components, combined with VMware’s VMotion, HA (High Availability) and DRS (Distributed Resource Scheduler) allows VMvault to offer 99.999% uptime to all virtual machines housed in our facilites. Legendary reliability utilising best of breed enterprise hardware, backed by a financial SLA. 24/7 Australian based phone support from certified network engineers. All data remains within Australian shores with multiple levels of redundancy. Powerful access to KVM, snapshots & reporting directly from the VMware vSphere client. All VMvault Data Centres are located within Australia and are premium enterprise grade facilities with built in redundancy to maximise uptime. Take a look through a virtual tour of our facilities here. We work very closely with our IT Channel Partners to enable them to provide private cloud solutions to their end clients. Find out how to become a member of our Channel Partner Program and start offering private cloud solutions today.